THIS WEEK’S OTHER FEATURED BOOKS, “LISBETH,” BY MARINA BROWN AND “DAMAGED GOODS,” BY C.A. HOCKING, CAN BE FOUND BY SCROLLING DOWN BELOW THIS POST, OR BY CLICKING THE AUTHOR’S NAME ON OUR AUTHOR PAGE. SUMMARY: A modern fable about good and evil – God hires an ad agency to improve Heaven’s “brand” image and all hell breaks loose. THE BACK STORY: The concept of this book struck me like an epiphany and I knew I had a good story before I wrote the first words. A year later I wrote a screenplay as well. WHY THIS TITLE? In the book it’s the name of the company God uses to front for Heaven. WHY SOMEONE WOULD WANT TO READ IT: Advertising is a business predicated on creating false desire, one that makes people covet what they don’t need. 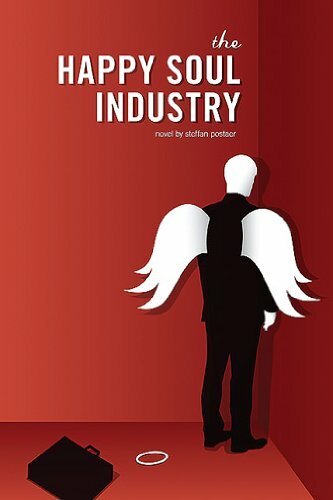 In this satirical and provocative story, advertising and religion collide in a perfect storm, making The Happy Soul Industry a perfect concept for these interesting times. “Steffan uses his insider access and his insight into humanity to pen an entertaining story with a great message for anyone in the business — or not.” — -LaxDad, 2008 Amazon review. AUTHOR PROFILE: A copywriter by trade, Steffan is renowned for his provocative work on behalf of Altoids, The Curiously Strong Mints. Other highlights of his career include co-authoring the famous “Not your father’s Oldsmobile” for General Motors. His pop culture blog, Gods of Advertising is on the Business Insider “must list” and a WordPress award winner. Steffan’s other novel, The Last Generation was optioned for a cable series by Disney Touchstone. CONTACT THE AUTHOR: Twitter: https://twitter.com/Steffan1.